I read these two last night, unable to sleep because I have given up on pain meds. Anyway it can only get better, at least that is what I keep telling . 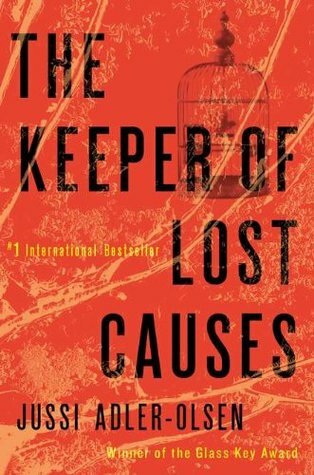 I loved The Keeper of Lost Causes! Sometimes translated works can have awkward translations and be problematic especially for dialogue, but I didn’t notice that here. Carl Morck is a wonderfully realistic character. I could completely understand his giving up on things and counting the hours each day and the days to retirement. Assad as a catalyst was very well written and a character in his own right. As a watcher of the TV series, Cold Case, the whole concept of Dept. Q was fascinating. The actual crime itself and the victim’s story is horrifying and totally enthralling. I had a sense of who the perpetrators were but no real conclusive evidence before the reveal. Highly recommended read, particularly for readers who like their sleuths “damaged”. 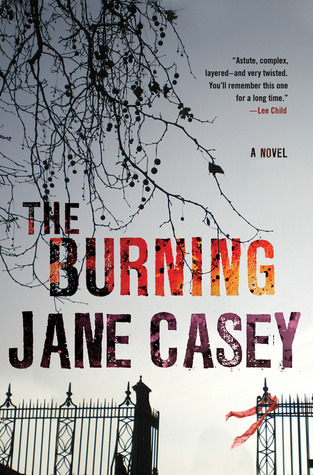 The Burning by Jane Casey is a mystery about a serial killers who burns his victims when he is done with them. After coming off of reading The Keeper of Lost Causes, this simply did not compare. Maeve Kerrigan did not seem really grip me as a character and the mystery seemed predictable. Overall, the plot and the characters lack depth, everything seemed one dimensional. As a reader, you totally lose sight of “the burning man” during the course of the book. Since this is the first in a series, perhaps depth will develop over time. This entry was posted in Book Reviews and tagged book review, mystery.